Want a new way to get a good recommendation, solidify industry contacts, and possibly secure future work? Spruce up your exit interview. Once thought of as a last chance to vent and say good riddance to a former employer, an exit interview — when done correctly — can be used as a smart, strategic tool to propel your career forward. Making the most of this job transitioning event is something more Americans would be wise to learn. That's because with a tight labor market, an increasing number of workers are quitting their jobs, confident they can land a new one with a fatter paycheck. In fact, according to the latest numbers from the Labor Department's Job Openings and Labor Turnover Survey—or JOLTS—approximately 3.5 million Americans are quitting their jobs every month. To put that in perspective, just consider that the figure hasn't been that high since early 2001, and that it's more than double the roughly 1.7 million folks who are laid off in a given month. Most of what's been written on exit interviews looks at them from the perspective of the employer — how many companies conduct them, what to ask and then how best to use the information. But the information gleaned from these conversations can be just as useful for the departing employee, said Courtney Bigony, director of people science at 15Five, a performance management firm. To begin with, don't think of an exit interview as an isolated event, she said. Rather, view it as one piece of a larger transition process. "When you're moving from one company to another, it gives you an opportunity to really reflect on what went well, what drained you, who you'd like to keep in touch with and what you'd like your next work experience to be like," she says. When the actual exit interview happens, it will likely take place over two conversations — an informal one with your direct manager and another with human resources, said Abby Kohut, a recruiting expert and founder of Absolutely Abby, a career consulting firm. The former typically takes place when you first give notice that you're leaving. The goal with this meeting, she said, is to show that you're still a team player and haven't already mentally checked out. "Even if you detest your boss, what you want to do in this conversation is find something that allows you to express appreciation for what that manager has done for you," Kohut said. "You want to be able to get a good reference from this person, or even future work, so there's nothing to be gained by burning bridges." If you really feel the need to express how the position or the job can be improved, don't make it personal. "Talk about how the responsibilities of the role can be changed, not what the manager has to do differently," Kohut added. Use this time, too, to ask for feedback about the things you did well and where you can improve. 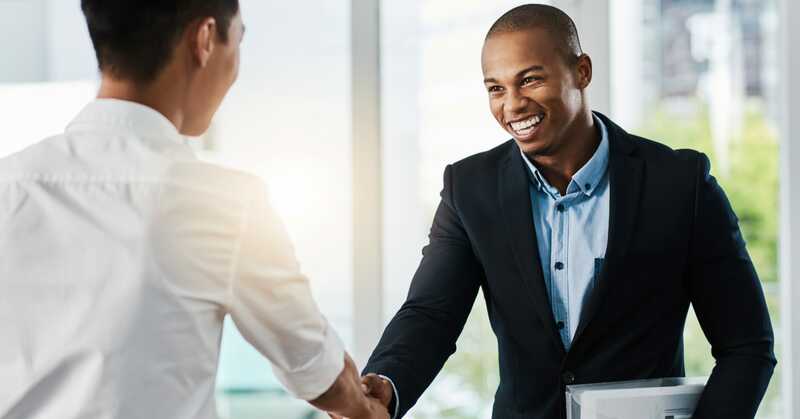 "Not only will this information help you as you move through your career, but it demonstrates that you value the opinion of your soon-to-be former manager," said Andee Harris, president of YouEarnedIt/HighGround, an employee-experience platform focused on recognition, rewards and performance management. When it's time for the more formal human resources interview, come prepared. One of the worst things you can do in an exit interview is make broad, sweeping statements without examples or data to back them up, said Harris. "Don't say, 'The culture isn't good here' unless you can give specific examples of what you mean and when it happened," she said. And with a tight labor market and companies scrambling to find the talent they need, Harris said human resources professionals are really listening. They need to be more proactive than ever in making sure their company is the employer of choice. "Be candid but professional," she added. "Say what you need to say in that meeting, rather than go on Glassdoor and write a completely negative review of your former employer." That means no name-calling or disparaging commentary about a particular person or team. "Describe the situation, not the person, and offer solutions about how things can be improved," Bigony said. If your boss was an awful communicator, don't dwell on that. Instead, suggest that weekly touch-base meetings would be a good way to keep everyone in the loop and aware of what's going on. If you've given two weeks' notice, make the most of your remaining time. Kohut and Harris recommend preparing a job manual that outlines all the pertinent information about your position that you can leave for the person that inherits your job. Give that to your boss on your last day, and in return ask him or her for a great recommendation. "You've just made their life easier, so they're naturally going to say yes to your request," Kohut said. "When you first tell them you're leaving, chances are, they're not thrilled with you, but if you go in during your last few days with this manual, you're being very helpful and will be leaving on a good note." Harris said that before her former executive assistant left, she put together a list for the next EA that outlined all of Harris' travel information, frequent flyer numbers and favorite hotels and restaurants. "It made it so much easier for the next person I hired," she said. In return, Harris gave her former EA a great recommendation and promised to tap her large network of contacts if the former EA ever needed anything. "It was a win for both of us," she said. Above all, the experts say, never say anything in an exit interview that's driven by anger or any other strong emotion. If you feel that strongly about something, there's always a better, calmer way to express it, and you may need to consult a trusted colleague or advisor on the best way to proceed. "An exit interview is the final stage of your formal relationship with a company," said Kohut. "When you leave, you want that company to miss you."